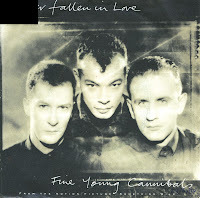 'Funny how love is' was released as the fourth and final single from Fine Young Cannibals' self-titled debut album in early 1986. Unlike 'Johnny come home' and 'Suspicious minds', two of the three previous singles, this wasn't a big success, even if the track, originally produced by the band themselves, was re-recorded and produced by Robin Millar, famous for his work with a.o. Sade. No wonder, then, that there is a distinct Sade-esque feeling to this track. The track was written by the band, although it sounds like an old jazz standard - which is quite a feat in itself! 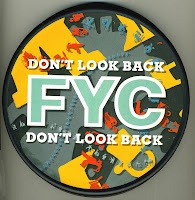 By buying this single I have completed the Fine Young Cannibals discography as far as I know, although tips for obscure releases are of course always welcome. Every now and then I play an old cd that's been orphaned in my collection. 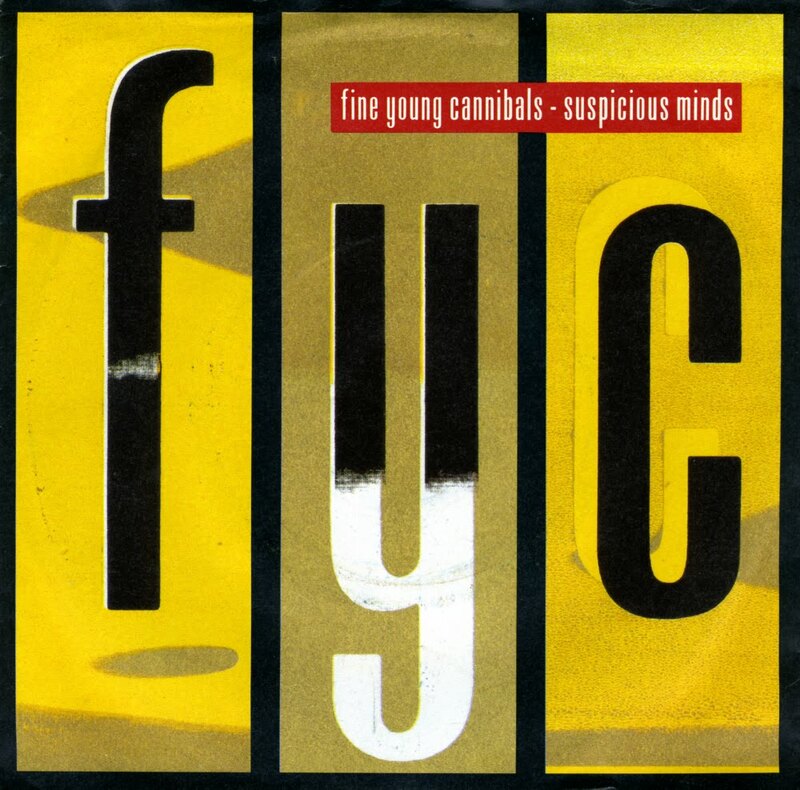 A few weeks ago I took out the greatest hits collection of the Fine Young Cannibals, and the standout track on that, I felt, was their version of 'Suspicious minds'. I never liked this track much in the past, but things change. The hysterical backing vocals by Jimmy Somerville add a certain something to this track. I decided I had to buy the single after all these years. 'Suspicious minds' was a hit in the UK, peaking at number 8. The track was also used in the cult films 'Dangerously close' and 'Down twisted'. 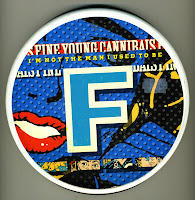 Although I have the limited edition singles in a tin can from all four previous single releases from Fine Young Cannibals' 1989 album 'The raw and the cooked' (1989) - 'She drives me crazy', 'Good thing', 'Don't look back' and 'I'm not the man I used to be' - I have not been able to locate the fifth one. It's not even offered on eBay or similar websites these days. It's a frustration, but I do have the 'normal' single. Written by lead vocalist Roland Gift and bassist David Steele, 'I'm Not Satisfied' depicts a man who criticizes the weekends for being too short, his girlfriend for being too possessive, and the city for being too depressing. This fifth single release from 'The raw and the cooked' (1989) reached number 46 in the UK singles chart, number 83 in Canada and number 90 in the US Billboard Hot 100 chart. 'Ever fallen in love' was written in 1978 by Pete Shelley and recorded by his group the Buzzcocks. It was a fastpaced, urgent song which reached number 12 in the UK singles chart when it was released. The Fine Young Cannibals recorded a cover version of the track for the soundtrac kof the movie 'Something wild' in 1986. Their version reached number 9 in the UK singles chart and number 35 in the Dutch Top 40 (where the Buzzcocks version hadn't charted at all). 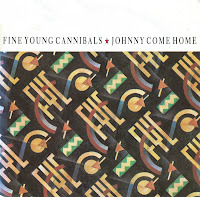 Released in late 1984, 'Johnny come home' was the debut single by the British band Fine Young Cannibals, taken from their self-titled debut album. The lyric of the song tells the gritty realistic story of a runaway youth, and alternates from the first-person narrative, explaining how his arrival in the big city has not turned out as he expected, to the view of the parents in the chorus, expressing their wish that he would come home. The single reached number 76 in the US Billboard Hot 100 chart, but was a big hit in Europe, peaking at number 8 in the UK singles chart and number 21 in the Dutch Top 40. 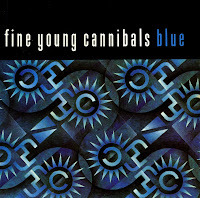 The second single from the Fine Young Cannibals' debut album was 'Blue', released in the autumn of 1985. It fared significally less well than the debut single, 'Johnny come home'. It was only a hit in the UK and Australia, peaking at number 41 and 13 respectively. It would take a cover of the song 'Suspicious minds' to get the band back in the international consciousness a few months later. This double single features a second disc with an alternative version of 'Blue' and a cover version of the track 'Love for sale'. The band would re-record this track for the 'Red Hot & Blue' compilation album a few years later. 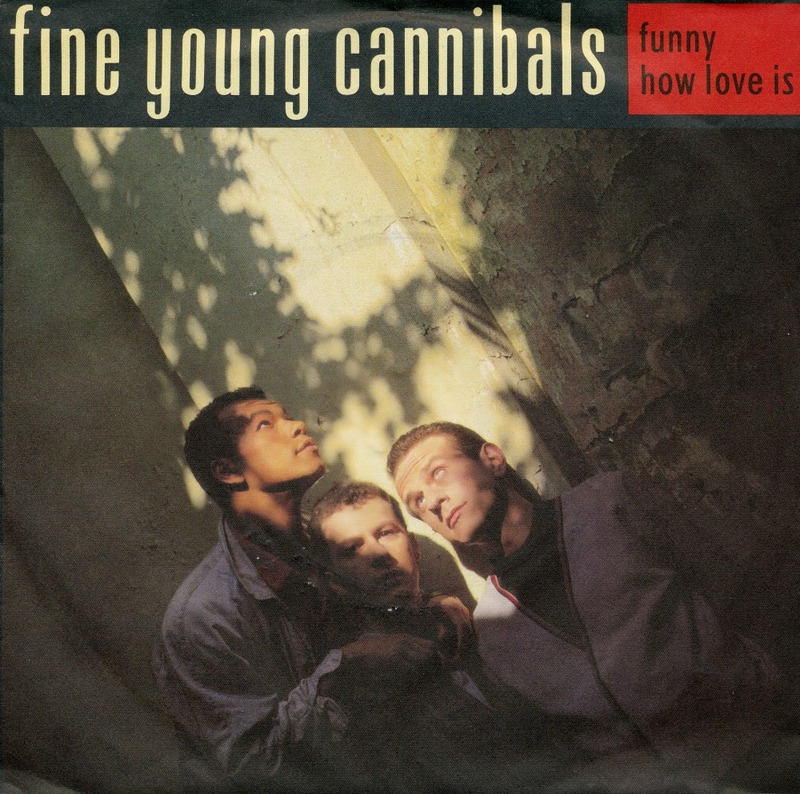 Released as a single from their remix album 'The raw and the remix' (1990), this Mark Moore remix of Fine Young Cannibals' debut single 'Johnny come home' did not impress anyone. The single was released and disappeared from the racks as quickly as it had come. After a very successful run of singles taken from their 1989 album 'The raw and the cooked', Fine Young Cannibals released a remix album entitled 'The raw and the remix' in 1990. 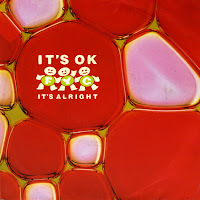 From that album, the single 'It's OK, it's alright' was drawn. The A-side featured the original version of the song, recorded in 1988, the B-side contained a remix of 'Johnny come home' which was on the remix album. The single didn't reach the chart anywhere and as such has become some kind of rarity. I know I was very surprised when I saw this single when I bought it, because I'd never seen it before - or since. The fourth single from the Fine Young Cannibals' second album 'The raw and the cooked' was 'I'm not the man I used to be'. It reached number 20 in the UK singles chart before the end of 1989. Just like 'Don't look back', 'Good thing' and 'She drives me crazy', a limited edition of the single was released housed in a tin can. This time, the single was pressed on white vinyl. 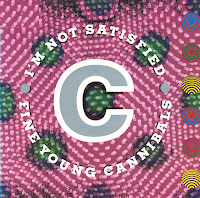 There's also a limited edition of 'I'm not satisfied', but I'm still manically searching for that one. 'Don't look back' was the third single taken from Fine Young Cannibals' second album 'The raw & the cooked'. It sold less well than 'Good thing', peaking at number 34 in the UK singles chart. It fared even worse in the Netherlands, because it didn't chart at all. Like 'Good thing' and 'She drives me crazy', a limited edition of the single was released housed in a tin can. 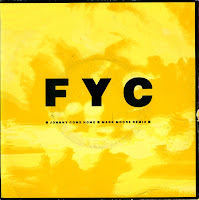 This time, the single was pressed on yellow vinyl. 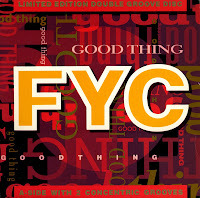 The Fine Young Cannibals released their single 'Good thing' on various formats. There was a 7" single, a 12" single, a cd-single, a limited edition 7" single in a tin can and this double groove 10" single. The A-side played two different versions of 'Good thing': the regular version and a rare different version which replaces the piano solo midway through the song with a saxophone solo. As far as I know, this alternative version wasn't released anywhere else, so the 10" single is really a rare item. And of course, records with double grooves are always funny items to have. 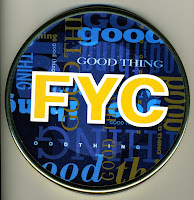 'Good thing' was the second single taken from the Fine Young Cannibals's second album 'The raw and the cooked'. It peaked at number 7 in the UK. Like its predecessor, a limited edition of the single was released housed in a tin can. My copy of the single is pressed on black vinyl, but I suspect that it originally contained a coloured vinyl single. However, I haven't found any reference to this on the web. 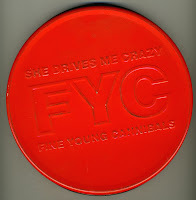 'She drives me crazy' was the first single taken from the Fine Young Cannibals's second album 'The raw and the cooked'. It peaked at number 5 in the UK and reached number one in the USA's Billboard Hot 100. My copy of the single was issued on red vinyl in a red tin can. The other four singles of the same album were also released in tin cans, each in their own unique colour of vinyl. An item like that takes up a lot of space, but it's so much fun to have.